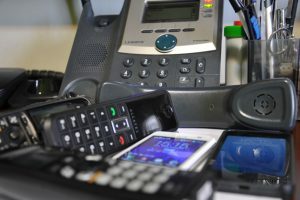 You have almost certainly considered switching from traditional phone lines to Voice over protocol phone systems, and you most likely have a few questions about the shift and installation process. Here are the things you need to know about VoIP installation. A VoIP phone system requires at least 32kbps of bandwidth for smooth running connectivity. The best broadband for a business is 80-90kpbs as it offers best quality VoIP for most businesses, thus ensuring high-quality, uninterrupted VoIP calls. You should talk to your VoIP provider so that they can furnish you with more information on your broadband connectivity and if your broadband connection will go well with your business’s VoIP needs. Also, there are bandwidth tests available; they go a long way in helping you get a clue on the capabilities of your current bandwidth. You have two options for business phone systems, either a hosted VoIP or a router enabled quality of service (QoS). A hosted VoIP allows calls to be made over the internet; it is basically a cloud-based type of phone. On the other hand, a quality of service (QoS) allows for prioritization of voice traffic over regular traffic. The lack of QoS will make your calls be of poor quality, with numerous interruptions. Separated traffic is where the voice tariff and regular internet are divided into two internet networks and connections differently. This is recommended if you have a large office with five or more employees. No prioritization is necessary for this kind of setup ensuring clear voice communication. VoIP equipment comprises of telephone adapters, phones, and headsets. An alternative source of power should be available for your business’s VoIP phone systems to ensure there is a minimal effect in case of a power outage. A power outage should not be a cause of why you should not remain engaged to your customers. There are many choices on how your employees will be connected to the internet. Some of the readily available include Wi-Fi phones, digital phones, softphones and analog telephone adapters. Contact us today for further inquiries or visit SJP Network Solutions to get your VoIP systems installed today.